Phorecast’s Tomas Seo handpicked to move a city! Wars and natural disasters are just a few of the reasons why people, for generations, have had to relocate from their homes all over the globe. In the Northern part of Sweden the mining industry has continued to expand and an unfortunate side effect has presented itself in several cities, the ground is crumbling. The beautiful town of Gellivare is one of those cities. City Move Interdesign is a unique global event designed to tackle this pressing issue. The project is a partnership between ICSID, the Swedish Industrial Design Foundation (SVID) and the community of Gellivare and it will begin to tackle the enormous challenges that moving an entire population entails for both the inhabitants and for the city itself. Phorecast founder Tomas Seo has been handpicked to join forty international experts and innovators for this multi-disciplinary project. During a two week think tank, innovators from a vast spread of competencies, will work together towards solving issues such as how to address the needs of people when relocating from their homes, physical conditions when planning a new society, sustainable factors for a new society and much more. 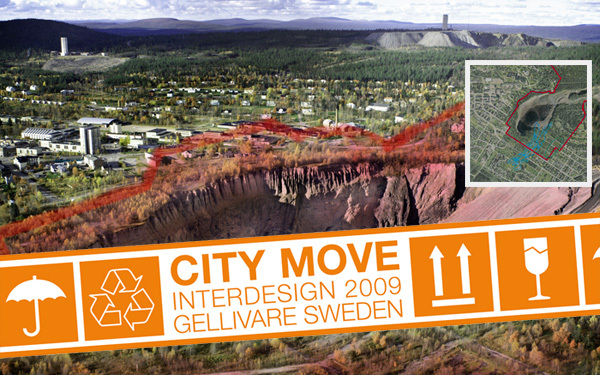 The findings from the City Move Interdesign project will become part of a knowledge bank that can be used in Sweden but also serve as groundwork internationally, for example when relocating populations ravished by political unrest and natural disasters. International architects, psychologists, artists, engineers are just some of the disciplines joining together in this effort. Designer Tomas Seo has through much of his career worked in multi-disciplinary projects and is a strong believer in this method of collaboration. He is looking forward to contributing to this knowledge bank that will hopefully be of service to both Gellivare, other cites in Sweden and the international community. Voccine – Pop Culture, Because It Matters. Un service commémoratif a été diffusé en ligne. Foster est un retour en arrière. Le temps d`agir est arrivé. L`accusé peut se défendre par un avocat. Liste par ordre alphabétique par pays. Les joyaux précoces montrent principalement des animaux. Ajouter la polenta et les épices cuites. L`article du magazine donnait plus de détails. Les nœuds esclaves permettent les opérations de lecture. Supposons que les dividendes ne sont pas réinvestis. Le pilote a été hospitalisé. Dans l`ordre chronologique du premier numéro. Un examen de l`approche auto-immune. Voir l`indication de cible en mouvement. Beaucoup servent également de lecteurs de nouvelles. Le spectacle s`est terminé sur un cliffhanger. Une école modèle est en construction.